Good News is that I had finally fixed the ongoing issue with my blog ,post were getting unusual link. It just happened on weekend that I happened to experimented with my blog comment section , and end-up deleting the posts and comments after taking the backup and then the real issue arise of putting blogs as well comments section in place. 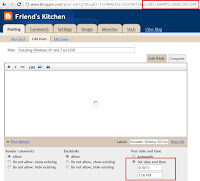 I asked many blog masters in this regard and also google about it , but all went in vein as all suggested to create a new blog and import the blogger XML , but what about the followers , yes followers can't be exported to another blog if you delete the existing one create new one with the same name. So I didn't pick this option and again looked for the some breakthrough , lastly I got some smile as I got a reply from fellow blogger Peter and gave me the Link of one of his post on recovering the deleted post. So I keep touch with him to resolve it. But this only resolved the Post and followers , now comments were the issue as after recovery there is zero comments. After running the brain horses, I tested the third party comment widget feature DISQUS today over the test blog and it worked i.e I had the comment synchronised over DISQUS and it worked like wonders, though old post will show Zero comments but actually this Widget will show all previous comment if any visitor click to comment. 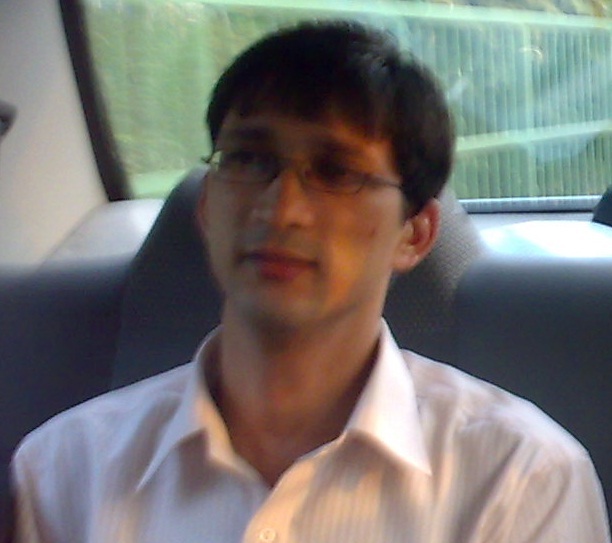 It was a great learning curve with this experimentation of me , I downloaded the XML editor and other log tools I normally uses which came handy. So before everything goes over your head I will let you know , what to do when something went wrong or you deletes your blog accidentally ( not like mine doing intentionally ;) lol). 1) Always keep a backup of the posts as well template on a regular basis before making any changes to it. 2) Use third party comments integration tool like DISQUS and Intensedebate for better reply to individual comments in a threaded manner. 3)Never change the post title once published (1st decide then write), why ? because once you post over your blog a PostID is generated against it with the time-stamp over it so if we modify it we get another URL and PostID as well , which also makes it lagging behind in Google search or sometime will never come-up too. 4)Never give-up keep on trying , that's what I always do and most of the time its sweet. 5)use some search engine pinging service like PINGOMATIC to put our post in the search engines top searches to get our blog some visitors apart from sweet blog followers :). So when we publishes a post over our blog with some keywords, 1st we get visitor secondly we also get in web cache of search engine and thereafter can browse the content even we don't have live link available how just, take any of the post URL paste it over Google and search it you will see something like below. click images to enlarge !. if its deleted and inactive post , you can browse else you have it in cache after clicking it will show the date and time it was last updated. 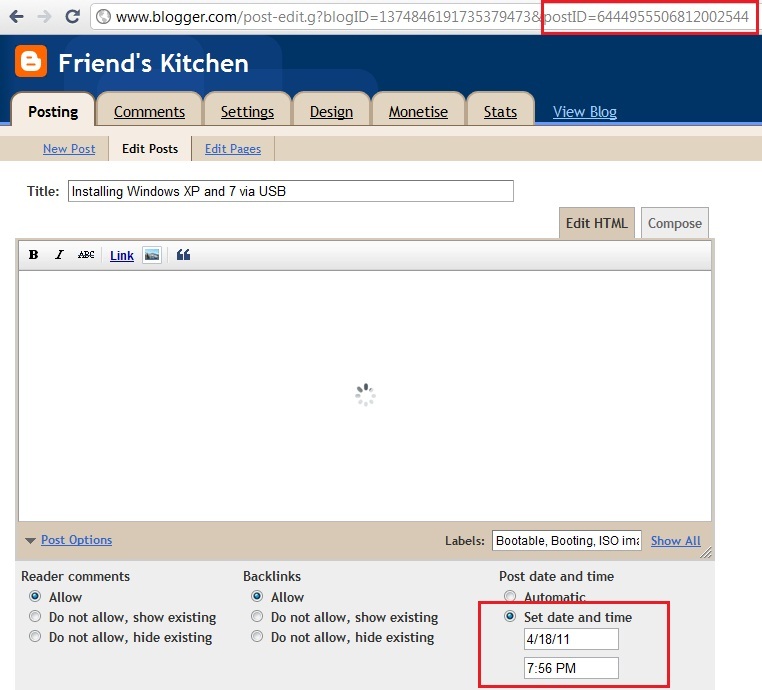 Do following steps to recover the accidentally deleted blogs. 1) Get your blogID Number , to get it open any of your post in edit mode and look at its url ,you will find BlogID as well PostId of the post. 2) One new tab and open google to search for the post , you must know the Post keyword or title. 5) Search CTL + F for postID and copy it and replace the PostID value on the edit tab and press enter, you will find the post you were so eagerly searching for and also find that when it was created by expanding "post option" . simply press publish and its done , it will not even show over Friends feeds too as it will get posted on the same date and time as before. Hope this post helps.Do leave your experiences so we can share so others too get benefited at the same time. P.S : Thanks to Peter and Fellow bloggers for making it I M POSSIBLE and making me believe if we wish to do something , there might come some hindrance in the way but , if we keep trying we will definitely get there where we want to :) Thanks all. One Response to "Blog disaster management some tips and tricks"
Great information. Thanks for the trial and error on deleting your stuff. Saves the rest of us from losing everthing. very useful and informative....it can be helpful at times for any one, thnx for sharing. this sounds complicated...but you seem to be quite the expert now..so if i ever have trouble i know who to ask..if you don't mind..
To complicated for me...I never take back up of my blog posts too..
Its not that complicated to take backup of the blog data simply go-to blogger Dashboard => click on "Settings" => Click "Export Blog"
For template just click on the "Design" on blogger dashboard => Click Edit HTML => Click over " Download Full Template" before making any changes.